We will see how my new commiment to blogging goes. Every other day, starting today. Sure, there are always other things to do like, well, work, and fix my email problems, but blogging is the way to grow traffic, so here we are. This past week I have been hustling with a major TattooNOW upgrade, which is quite exciting. 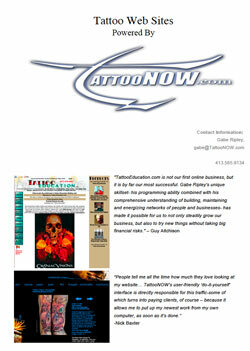 The upgrade, which will improve the perfomrance of ALL of the TattooNOW websites, will be done before next sunday. Its great to make everyone a little happier at the same time! Brian's holding down the TattooNOW fort while I update and there are more website launchs coming, as well as some great new sites in the works for some more world class artsits. One of the sites is our second artist from sweden, we love doing international tattoo wesites! I also updated our tattoo website sales booklet, you can download it here anytime. Next week we're leaving to go on another round of site visits for the next Paradise Artist Retreat which will be a year from now. So, to keep it strait, the next Paradise Tattoo Gathering is September 15-18 2011 at Jiminy Peak. Tickets have been selling, and the seminar schedule is almost complete. Very sorry to the artists and clients who need this info to make their plans, my only excuse is the show is over a half year away, and many conventions dont have their seminars set till the month before. Well, its not a good excuse, but hey. 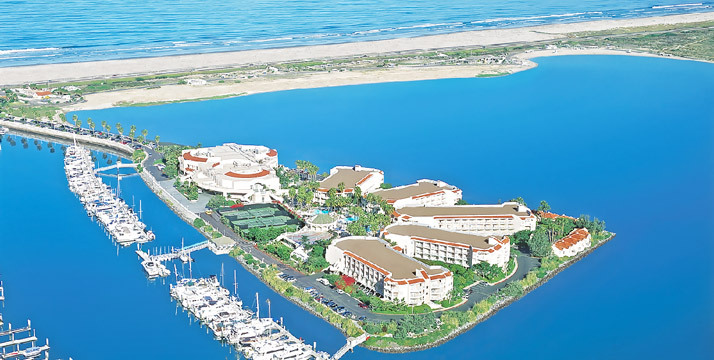 Anyways, then in Feburary of 2012 we will be doing another Paradise Artist Retreat, no tattooing just art, somewere out west, either Southern California or New Mexico. Maybe here... Then the whopper, September 13-16th 2012 the full on Paradise Tattoo Gathering is landing in Keystone Colorado about an hour and a half into the rockies from Denver. If the initial excitement for the colorado tattoo convention is any indicator, we will make the move 2,000 miles away successfully. Just the incentive I need to keep working and kick it up! Anyways, we just about have the video from the 2010 artist retreat wrapped up, we will post soon. Off the Map Tattoo is going strong, we started keeping track of our numbers about a year and a half ago (please, dont remind me we ran the shop blind for the first 3.5 years, ack!). Its truely eye opening being able to look at the history of the tattoo studio, and knowing its current state of health, not by feeling or intuition, but by the numbers. Being a computer geek, well, I love the numbers. Especially when they are growing! Can't thank Mary, the tattoo artists, and the staff enough. Speaking of the shop, if you are in New England come check out our next group art show. 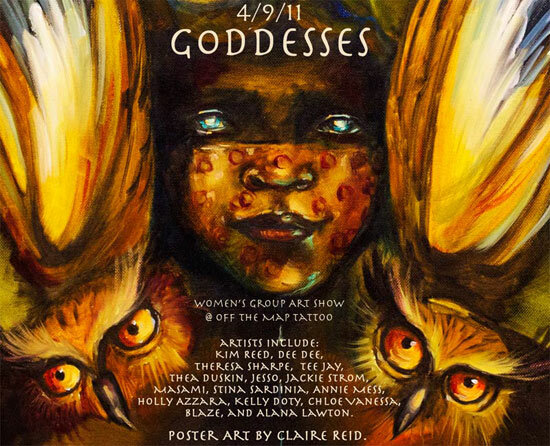 "Godesses" is a collection of amazing artwork from ladies around the world! April 9th hope to see you there.